We just came off of the most amazing week of all-time conditions, fresh pow for days. Then the weekend came and a little bit of sun and warm alpine temperatures, and that was it. 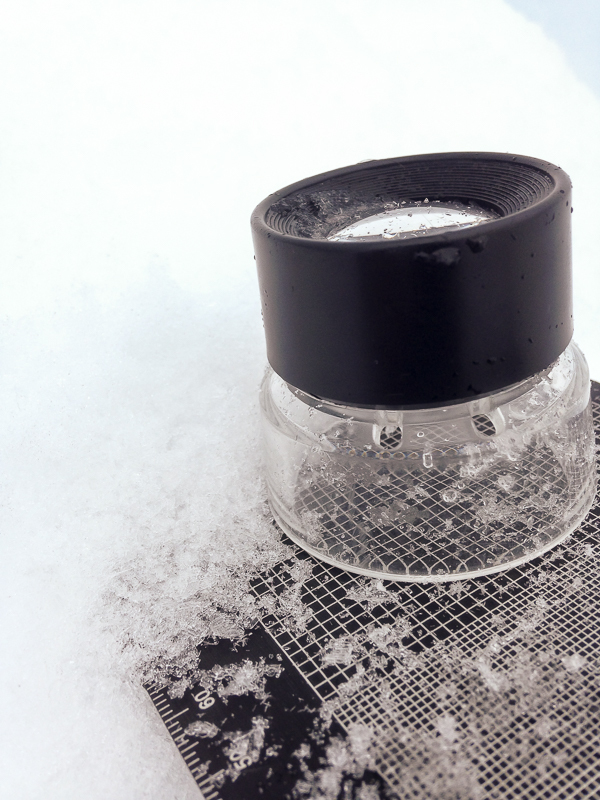 Luckily it has stayed on the warm side so everything hasn’t turned to solid ice. The snow is spring snow, wet and heavy. We have been getting fresh snow this week which is nice. And maybe there is a chance that it will cool off and get blower again, but I wouldn’t hold my breath. There is hardly any snow below 1000m around Revelstoke, so welcome “multisport” season, my favorite! 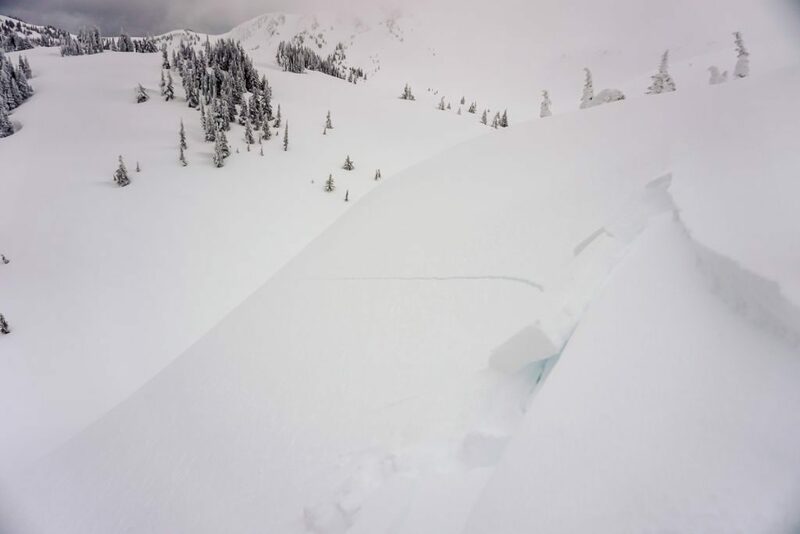 Avalanche conditions have settled somewhat, the warm temperatures have done their work and numerous cornices have failed in addition to moist, wet and storm slabs. It seems like most of the damage is done, but you can never be certain. There is still snow and rain being input to the system so things can change very quickly. 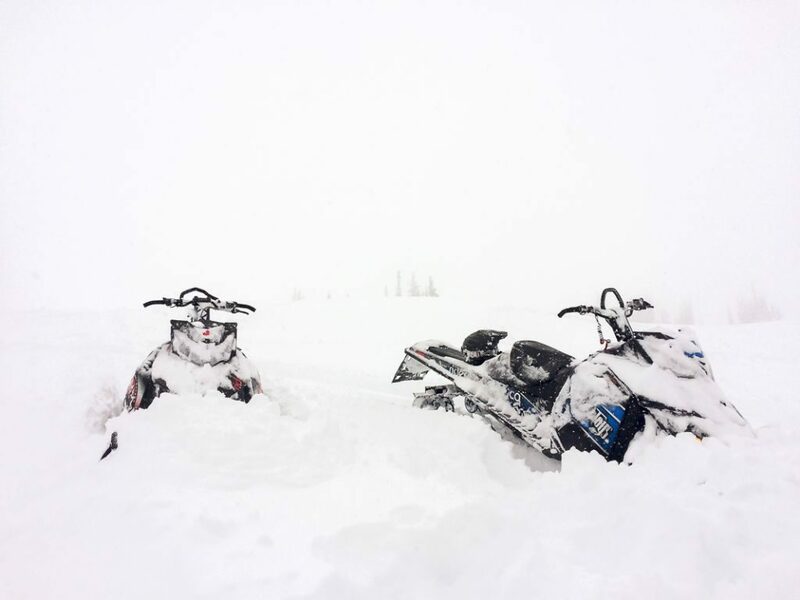 Always make sure you are checking the avalanche.ca bulletins for your area before you ride – see what is going on out there. Weather looks like a mixed bag coming into the weekend and models are trending to show some sun on Friday and Saturday so it could end up being a great Easter! Some snow and some sun, yes please! 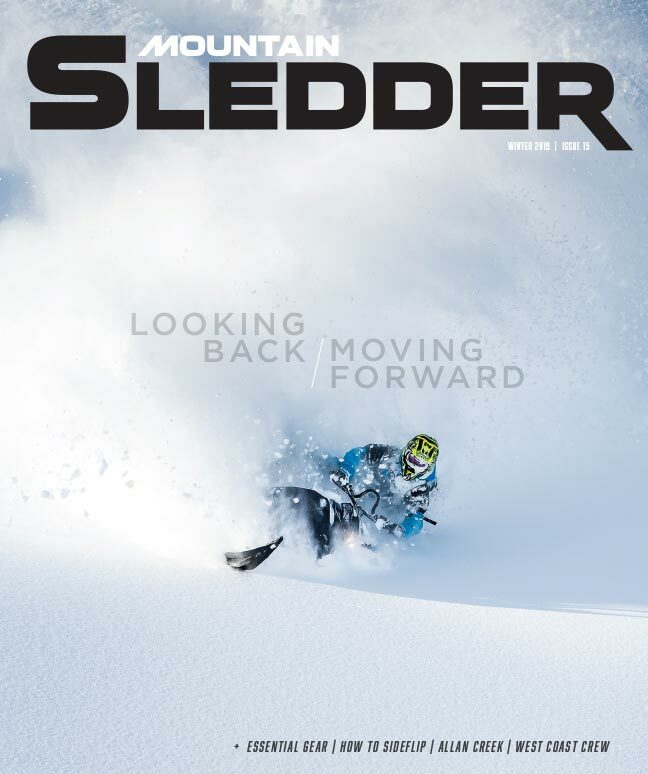 Either way, get out there and enjoy it as there is not much time left for sledding season! 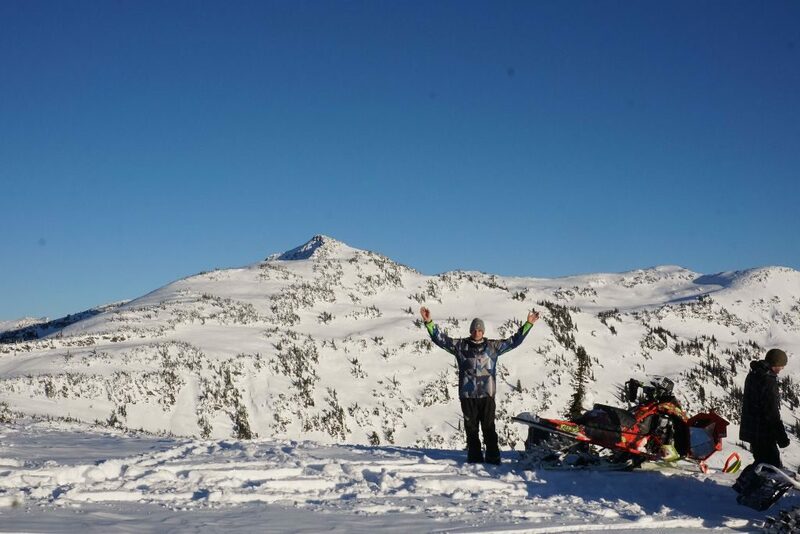 I’m going to start this report on a low note and mention that we have had 3 snowmobile-related avalanche deaths this past week in BC. It is very much winter still and I want to remind everyone that we are not infallible. The past week’s weather has been cells of storms and lots of strong winds (from all directions). There are cooler temperatures up top causing several pockets of great blower snow. The only thing to watch out for is that wind—since it was coming from all directions, it is really difficult to predict the loading right now, so it is best to treat all slopes as loaded slopes and be cautious. Looking forward we have mostly sun in the forecast until about Monday when it looks like another pacific low will be making its way into the interior, bringing snow through next week. So suns out guns out for now, but watch those solar aspects in the afternoon. The cornices are gigantic right now and will definitely be able to trigger a large avalanche below. Driving up to 4km on Boulder right now, which is a pretty fun time if you have an enclosed trailer (joking). At Frisby we are still riding from the bottom. Groomers are still running every day. All areas that don’t see a groomer are heinous and unless you like rallying 3-foot whoops, I would stick to the groomed areas. I feel like I could cut-and-paste the last five ride reports, which sound like the same old record playing over and over. The bonus is that it is a pretty good record, like CCR Greatest Hits or something you don’t mind hearing a thousand times. All joking aside, I am laying in bed and typing this ride report as it pours rain outside my window. Luckily, freezing levels have been sitting at 1000m the last few days so this is translating into a proper snowpack in the alpine elevations. We had some healing to do after the weekend where the freezing levels shot to the moon and punched all the beautiful powder. 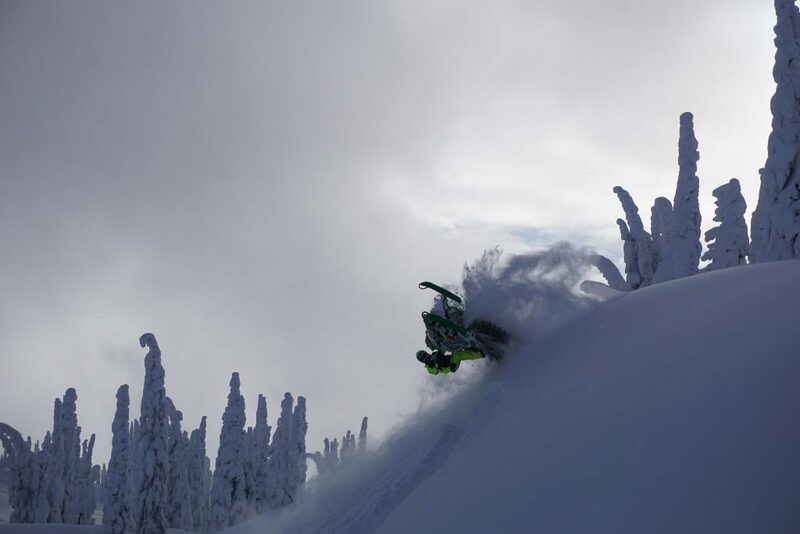 The snow through the week has been ‘hero’ snow and you can half throttle pretty much anywhere. There are still the odd pockets of fluffy snow on high, northerly aspects and that is where I have been seeing the most avalanche action. Avalanche conditions are climbing with the snowpack and the layers are getting very complicated with all the precipitation and temperature changes and differences in elevations. 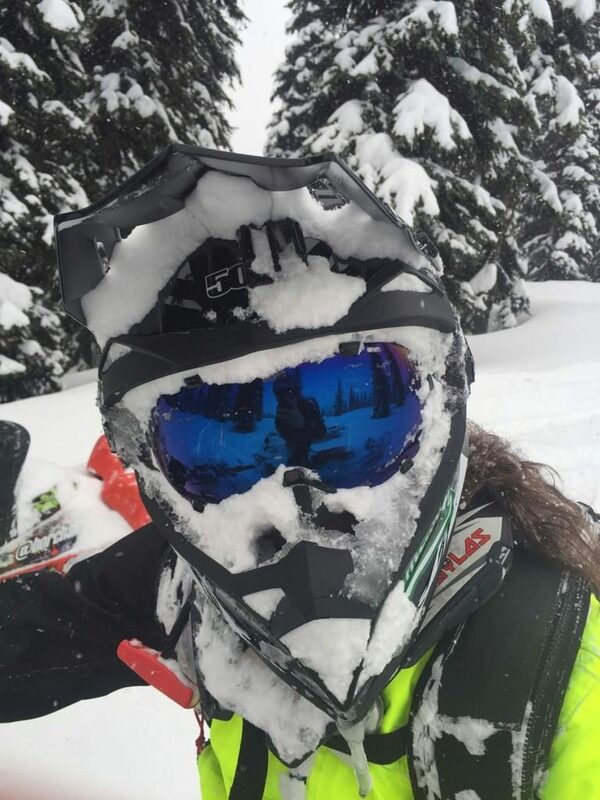 You really have to be on your toes to be riding avalanche terrain in these conditions and remind yourself that it is never too late in the season to brush up on skills and practice!! It appears that luck is on our side this week as this storm is the first (and heaviest) of three slated to hit us through to the weekend. Again, I can promise no sun but it will likely make some short appearances here and there in between wind and snow. Patches of gravel at the lower elevation trail sections on Boulder and Frisbee but easy to avoid still and it’s pretty fun smashing the slush at the end of the day. Groomers still in full effect and doing a great job on both mountains as well. It was an amazing week that last one, no word of a lie. I think that the majority of people in the interior likely had their best pow day at one point between the last ride report and this one. Mine was on Saturday. So deep, so fluffy, so amazing. Sadly, and even with the pronounced Special Public Avalanche Warning by Avalanche Canada, the sun came out and the brains went away. 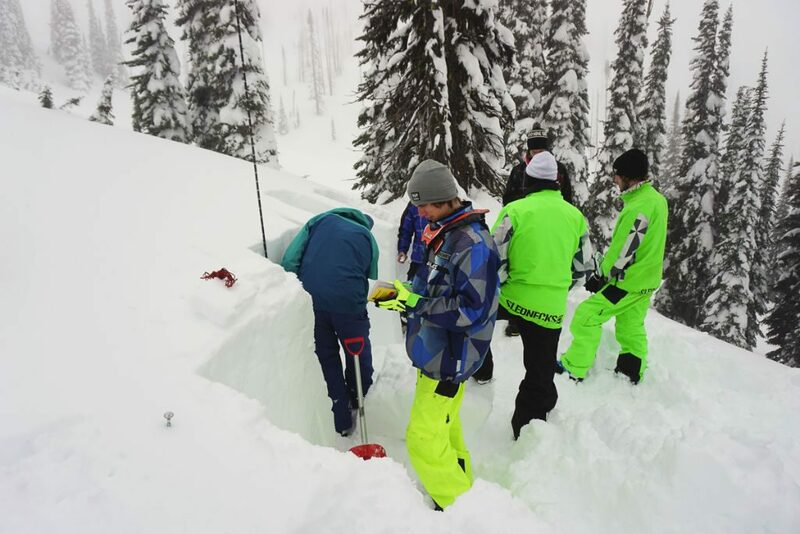 Multiple avalanches occurred luckily claiming only one life and not multiple lives. I am truly hoping that this is the end of avalanche fatalities for the year. Looking forward, we have high pressure remaining with us until the weekend when it looks like we will get a bit of a dusting but nothing to write home about at this point. I am hoping the models changes as we get closer to the weekend and the low picks up more moisture off the Pacific than originally thought. It looks like freezing levels might shoot to the moon on Friday as well so this may set us up for a nasty crust when things decide to cool down again. It feels like spring time in the valley here. All the main riding areas are still accessible from the main parking lots, a few patches of dirt here and there but easy to avoid. Groomers are still working full tilt and winter is not over yet. So come out and get it while you can! It has been raining steady in the valley and snowing steady in the hills this past week. 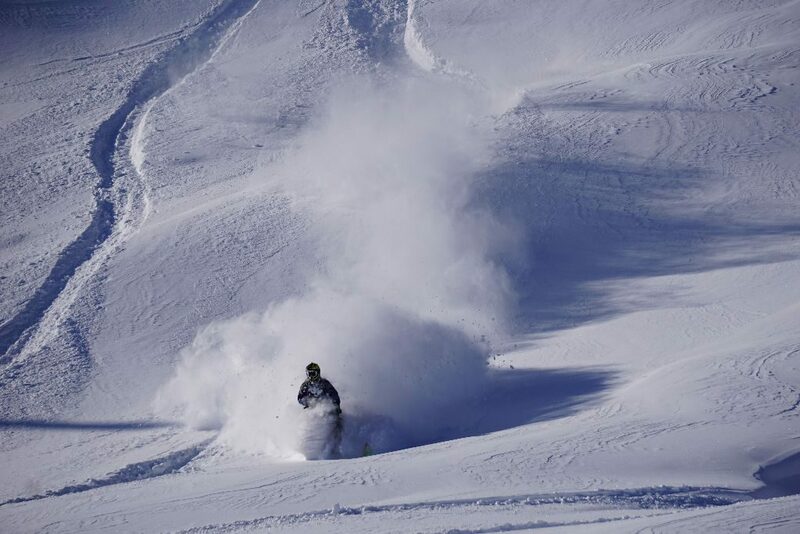 The alpine conditions are all-time for powder (with lower elevations a little schmooey). 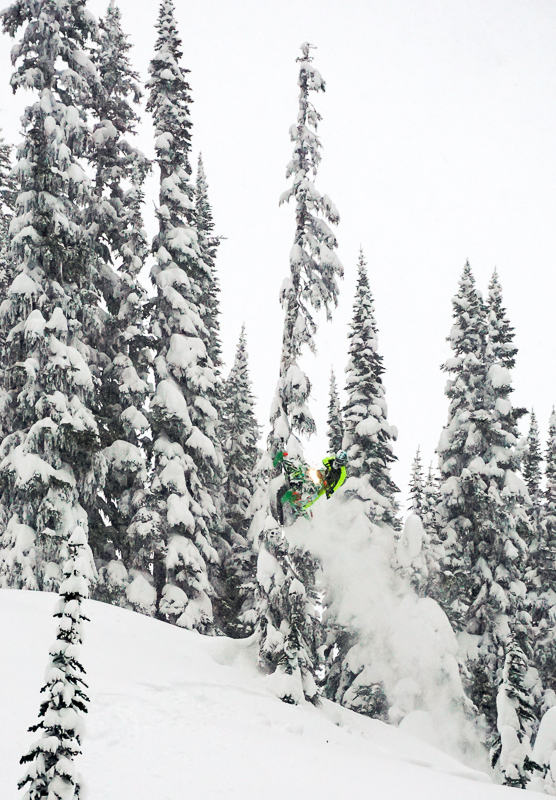 Nothing but faceshots to be had for Revelstoke residents these days as all the old tracks are filling in nicely. And boy, am I glad to have a winter again! Watch for wind scoured and windloaded slopes, keeping in mind most of the wind has been coming from the south, but that’s not to say there hasn’t been any crossloading. Where to start with this ride report, I am having trouble… it has been a week full of every condition in the book and looks like another similar one lies ahead. Early last weekend was the best and deepest powder I have ridden in over 2 years. Then came the rapid warming turning it all to spring, saturated slush and crust. 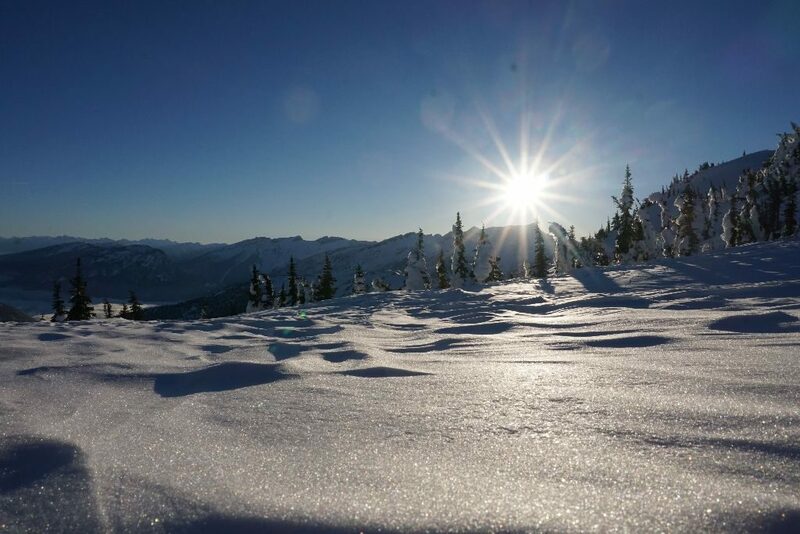 Out came the sun but the temperatures stayed high, way high, right up to 3000m around Revelstoke. It takes more than balls of steel to be a pro rider like Brodie Evans. A commitment to avalanche safety is just as crucial if you want to go big AND go home at the end of the day. It appears that we have more precipitation in the forecast through the Valentine’s weekend and we can only hope that freezing levels drop down and it is in the form of snow and not rain. With that in mind, there is going to be a nasty crust to contend with over the next while and will likely be our next big persistent weak layer to be watching. Any precipitation overlying this crust is going to be pretty volatile so make sure you are watching the bulletins closely and paying attention to your surroundings. I think it might be a tough sell to make the drive this weekend if the weather stays greybird. If I had to travel, I would wait for more snow, like at least 50cm and save some money in the meantime. Looking back, it has been an amazing week – actually an amazing winter this far! We got lucky with a big storm last week. It was a little rainy and warm for a day but it managed to cool off quickly and preserve winter on the peaks. Through the week we have received little dustings here and there and last night was a nice 15cm. Looking forward I see a little more precipitation tomorrow from the storm that is moving our way from the coast right now and this should put us in really good shape for the weekend. It almost seems like the sun might come out and shine for us as well for a few days! Avalanche conditions have definitely been tricky so it is not the time to get complacent as there have been ample observations reported of significant storm and wind slabs pulling out. The wind loading is varied and it is really important to be testing the snowpack before you get after anything big right now. 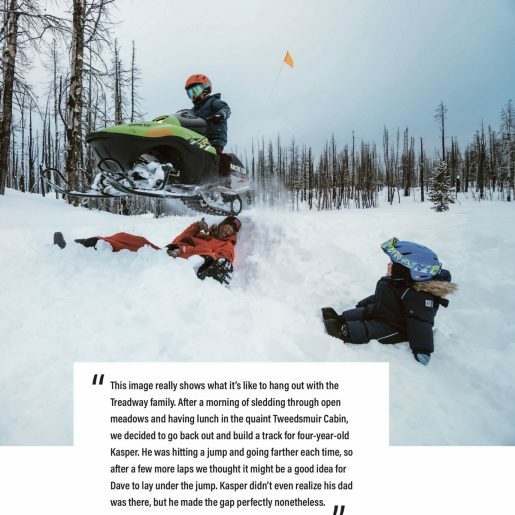 Also, as always, make sure you are checking the www.avalanche.ca bulletins for the most up to date info in the area you intend to ride, and we will see you up there! It has been a great week of snow here, we somehow have lucked out with the freezing levels so far and the snow up top is still fluffy (for the most part). 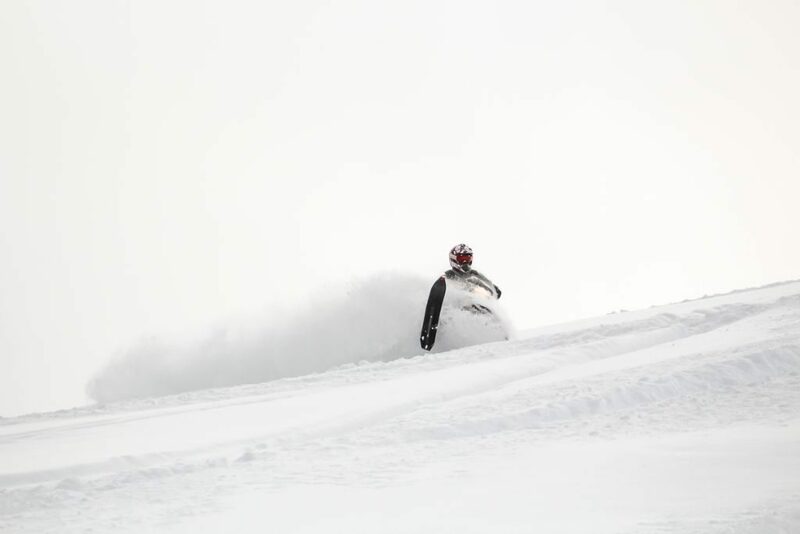 It got pretty tracked out in the main riding areas over the weekend, as it usually does but we are getting some fresh as we speak and it looks like it should be a nice dusting in time for the weekend. It’s tough to say what the freezing levels are going to do today but the forecast is for 1800m and my fingers are crossed that they are wrong. It was around 1100m yesterday afternoon and hoping they remain there. With the new snow comes increase avalanche conditions, there are several buried weak layers to be watchful of – namely, buried surface hoar, crusts and facets. 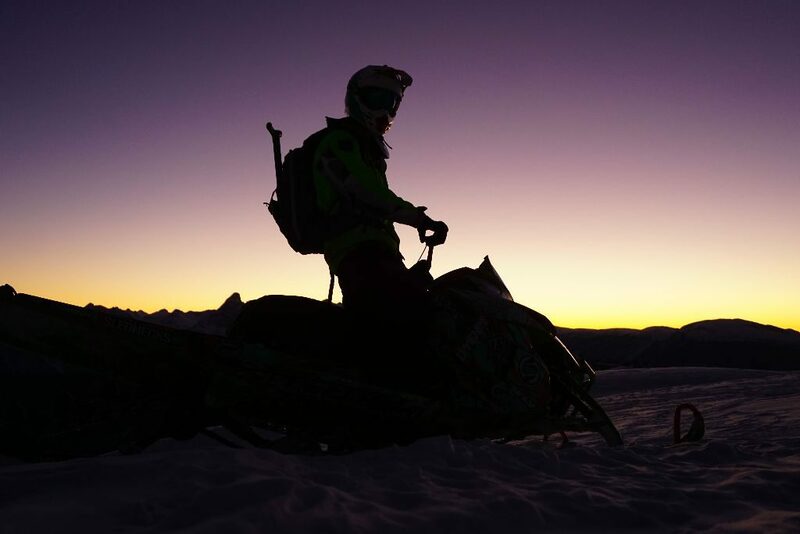 The best thing to do is make sure you are reading the bulletin to get the info for your riding area of choice and ask around and see what others are seeing. 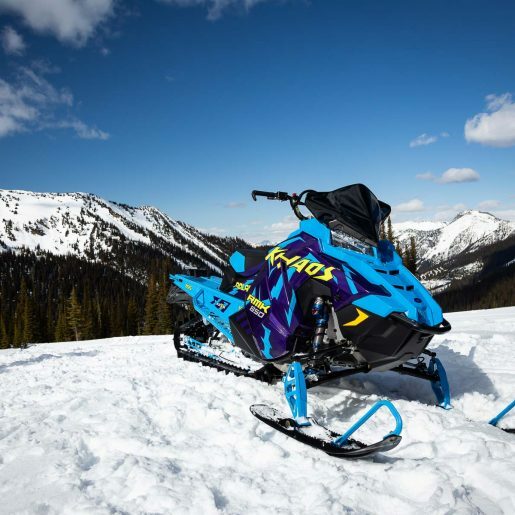 It should be a fun weekend as the sun is going to shine a little bit and as long as you make good terrain decisions, all things are lining up for some good riding. This week has been slow, with light snowfall and greybird conditions up until today. A nice big pacific low has hit us with about 15cm of fresh, albeit a bit wet down low. The temperatures are still cold up top so things are looking good if it holds. We still need another half meter to fill in at all the main riding areas to fully take care of the tracks but looks like it might happen tomorrow if the storm persists. There is still lots of bottomless untracked snow to be had if you get adventurous though so don’t worry. I am thinking we are in for a full reset here though so it is going to be amazing everywhere come Saturday. And see you out there! Welcome back winter! The reset that we needed has finally begun with about 30 cm of snow so far and more to come. 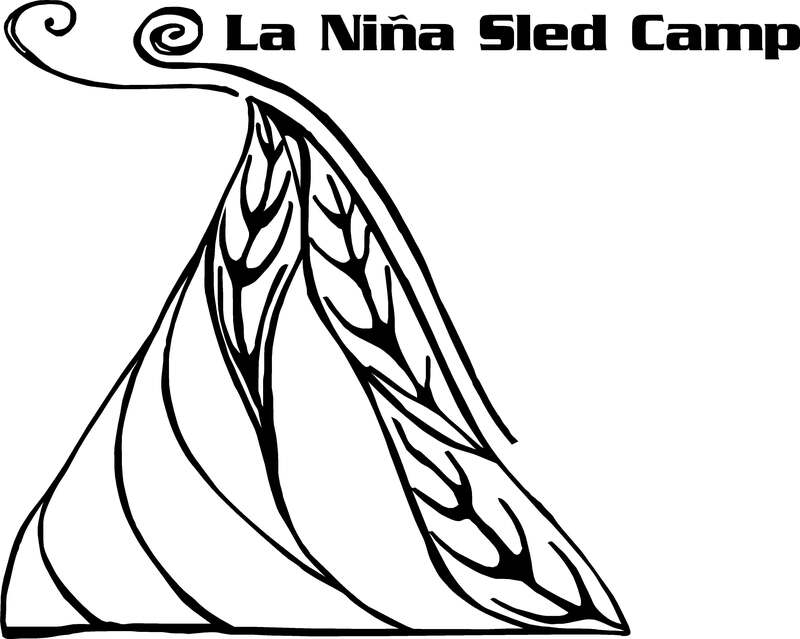 There is a lot of fresh storm snow that has fallen and been transported by wind to a variety of aspects, so be a wary in the alpine – there ARE instabilities, both storm and wind slab. Also, a variety of surface hoar and crust layers depending on where you ride. The crust is generally shallow and breakable on a sled, but still something to keep in mind for the next round of loading. You can still feel the tracks under there but with another 15-20 cm more, things will be set up for a fresh start. Groomers are working daily on both Boulder and Frisby. 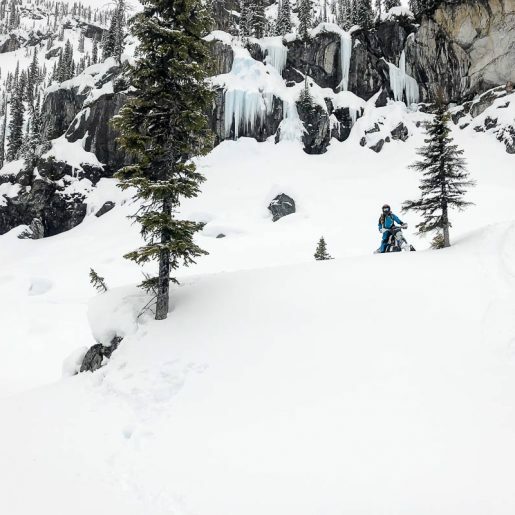 All other riding areas are pretty hammered out with whoops but think of it as a good workout on your way in (and out) to keep your body warmed up. It is looking good coming into the weekend with spotty precipitation, not much chance of sun, but maybe another good dusting on Saturday afternoon. Get it while you can, you never know when the next dry spell might hit! 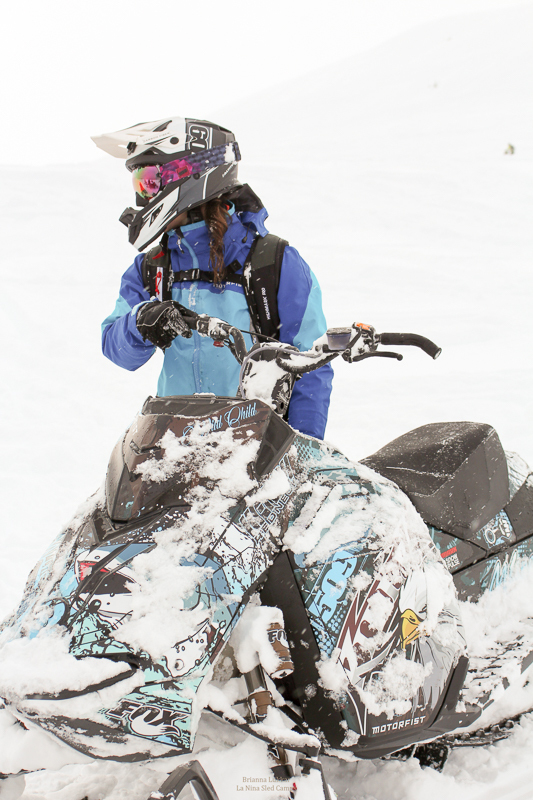 And of course, always check at www.avalanche.ca for the latest bulletins for your riding area! Happy New Year everyone! Hope you had a fantastic holiday and had the chance to get out and enjoy some of the goods that were delivered to us! I am happy to report that we have received a small reset over the last 2 days in the form of about 20cm of fresh. Although there are still some tracks to feel underneath, we got lucky and it stayed soft as we avoided a melt freeze crust in our area during the period of temperature inversion last weekend. There are some cold temperatures in the forecast as an arctic front hovers into the interior but the conditions should be pretty good this weekend with good visibility and decent snow. It looks like some more snow in the forecast for next week so let’s hope that it holds true. 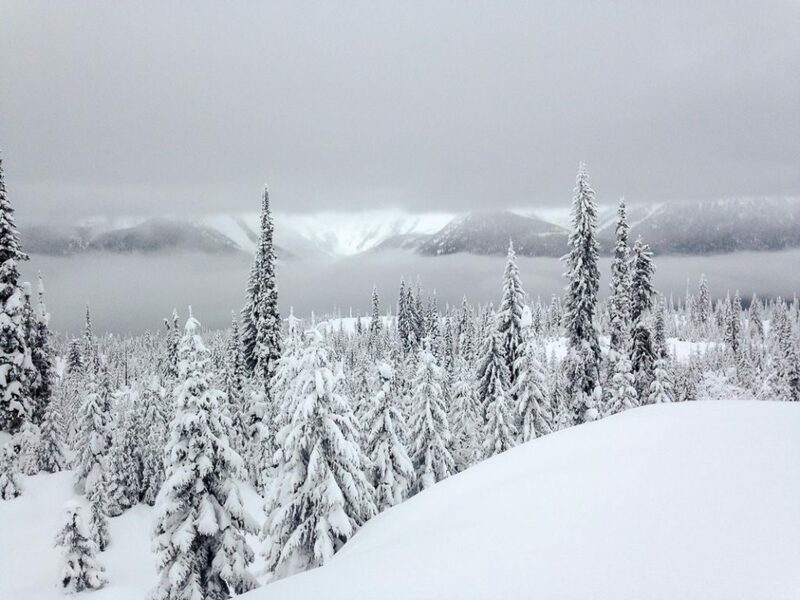 Merry Christmas everyone, and very merry it is around Revelstoke. We lucked out with a surprise little storm that added up to 50cm of fresh and blower, low-density snow. It has been amazing riding conditions the last few days and avalanche conditions have settled down substantially so it is nice to be able to punch into the new zones. It looks like moving forward the temperatures are going to stay cool right to valley bottom and there is some more snow on the way early next week. I think the snow is pretty good over most of the province, especially the coast but I have no reason to leave here as it is all time. Groomers are out and making two passes a day through the holiday season. It has been quiet over the last couple of days but I can imagine the loaded trucks are going to start rolling in. Get it while its good! 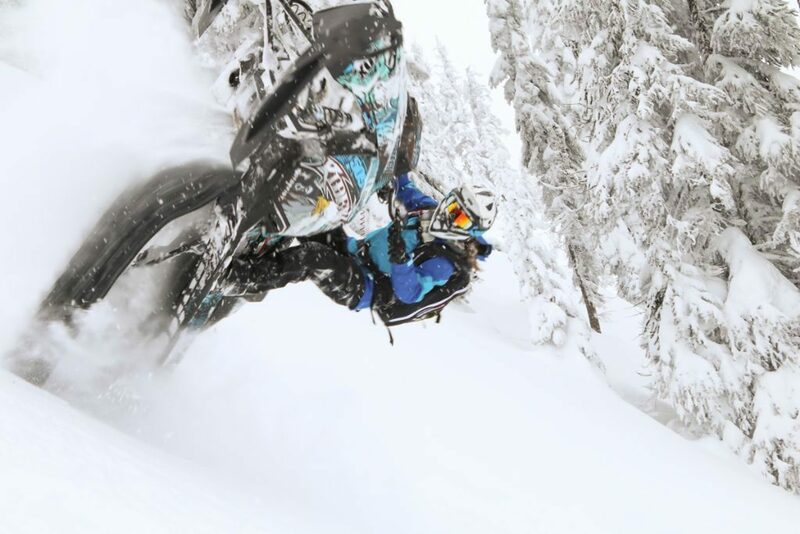 Hope you all are having a great holiday and thanks for checking in on the riding conditions! I’ll be damned if the sun didn’t shine today. What an amazing day we had. 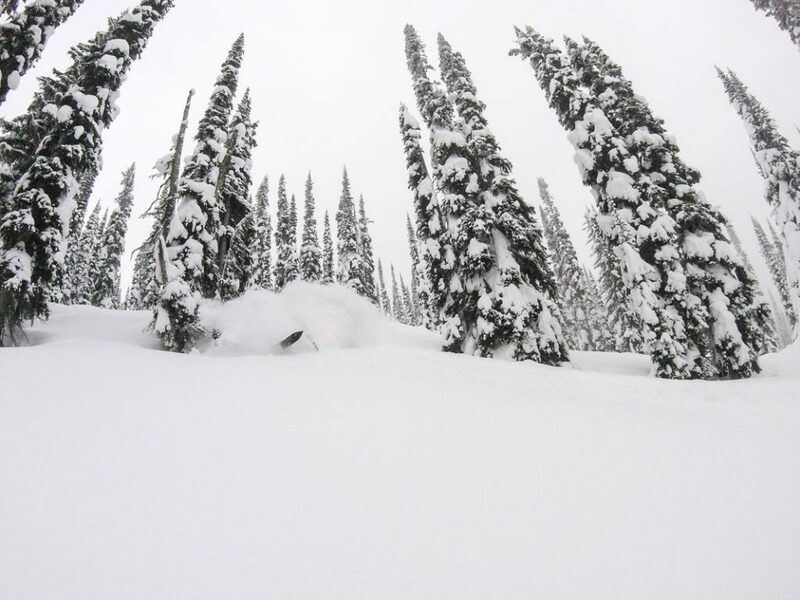 Conditions are shaping up very nicely here in Revelstoke – although we haven’t had the same accumulation as the Coast over the past week, we have been lucky enough to get some snow,and more lucky that freezing levels have dropped to valley bottom and our snowpack is tightening up nicely. The snow is cold smoke and deep and the base is there now. Ready to go. It looks like we have our next wave of storms moving in later tomorrow and through into next week so it should be a good reset in time for the Christmas holidays. Thankfully the warm weather last week didn’t completely destroy the snow down low and we are still riding all our areas from valley bottom with full coverage and groomers are working hard at keeping the trails in good shape. Although it is tough when there are 300+ sleds going up a day! 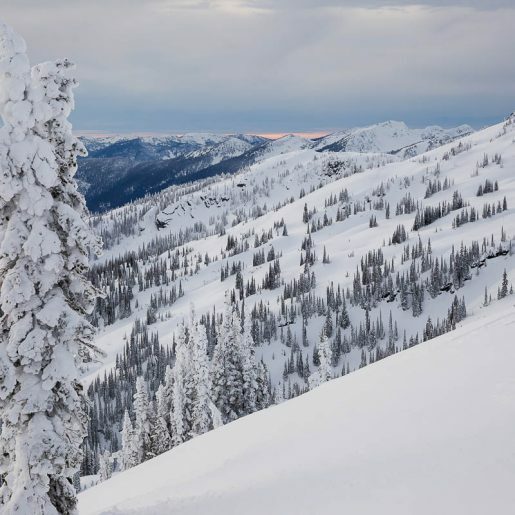 Avalanche conditions have settled down but still a few weak layers to keep in mind – check your local bulletin at www.avalanche.ca for full details. It’s been a great start to the winter and looking forward to bringing you lots of good news this year, so stay tuned for your weekly ride reports! [one_half]Since the last report we have been consistently spanked with Pacific frontal systems and a dance party of freezing levels. Every morning I have woken to rain, which is nice because it means less work shoveling the driveway. Once you gain about 1000m of elevation this rain turns to snow and once you gain about 1500m this snow turns to pow. 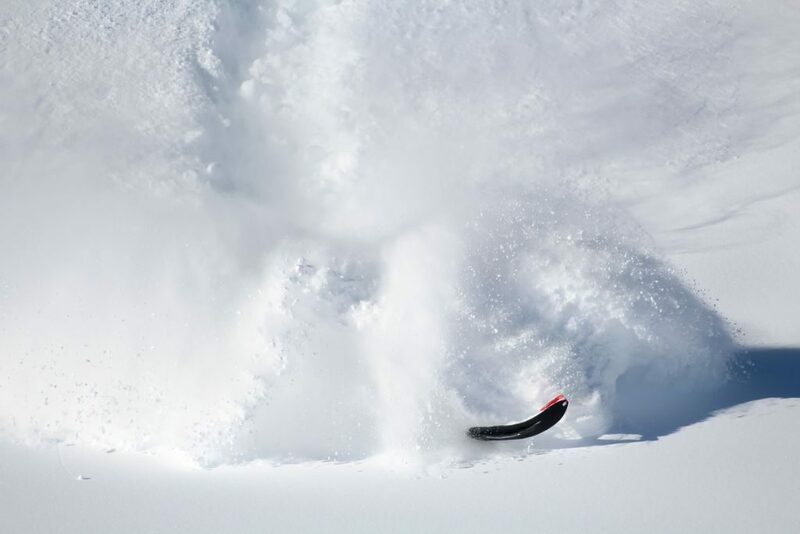 Sweet, slashy pow. So come spend your money on gas and oil before you spend it all on Christmas presents. And be sure to make good decisions as it is touchy with all this fresh stuff, stay informed at www.avalanche.ca! 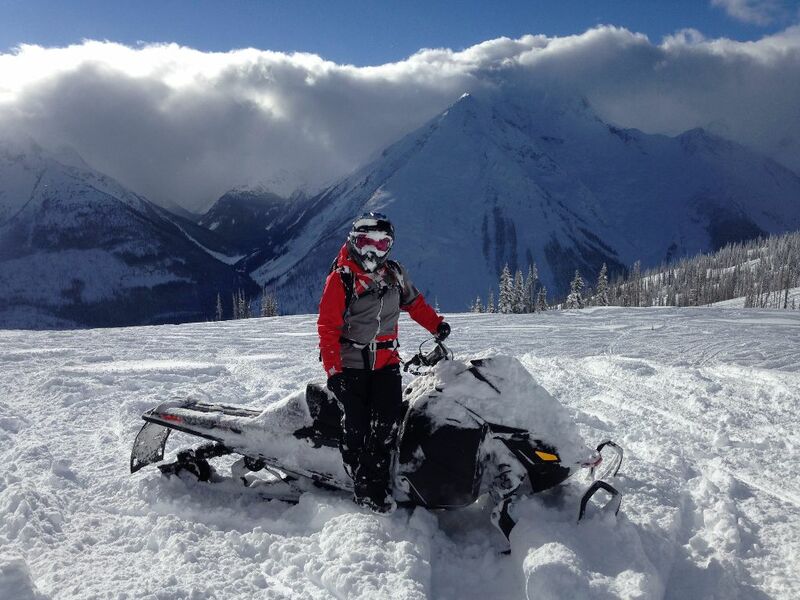 Revelstoke’s riding areas saw more traffic than I have seen in a long time over the past American Thanksgiving weekend. I could not believe how many vehicles with big enclosed trailers were out. That being said, there was lots of fresh stuff and lots of sun to enjoy. We have been sitting under a ridge of high pressure most of the week with dry and clear conditions but had a small storm Tuesday night which brought 10cm. The forecast is calling for some more today (Thursday) and a big dump on Saturday as a few more waves of a pacific frontal system move through. It will be great snow come the weekend but likely very grey. Avalanche conditions had stabilized quite a bit, but we had a temperature inversion over the past weekend and a lot of sun – this means there will be a crust on a lot of slopes. Additionally there will be surface hoar over this crust in many areas so now that this new load is introduced, it will be a very touchy avalanche situation for a few days. 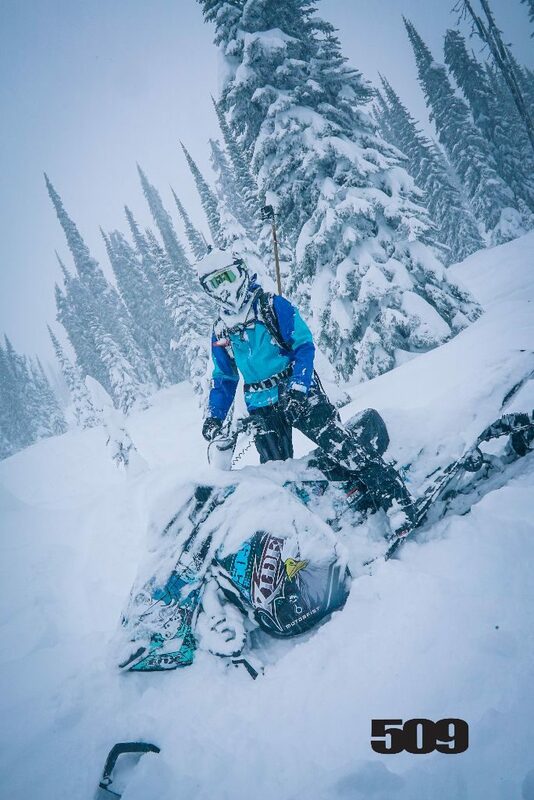 I would stay informed at www.avalanche.ca and keep my riding modest over the weekend, sticking to simple terrain. Groomers are out on their regular schedule at Boulder and Frisbee and trails are in good shape so see you there! Hello Everyone! And welcome back to my weekly Revelstoke ride reports, where I promise no bull%#$* and photo proof with every post! I am happy to tell you that winter has indeed arrived in Revelstoke and I am sure that is no secret judging from the amount of loaded sled trucks parked at the hotels. What we have is an average 185cm snowpack with more on lee (wind loaded) slopes – those being the south and south west aspects this time around. 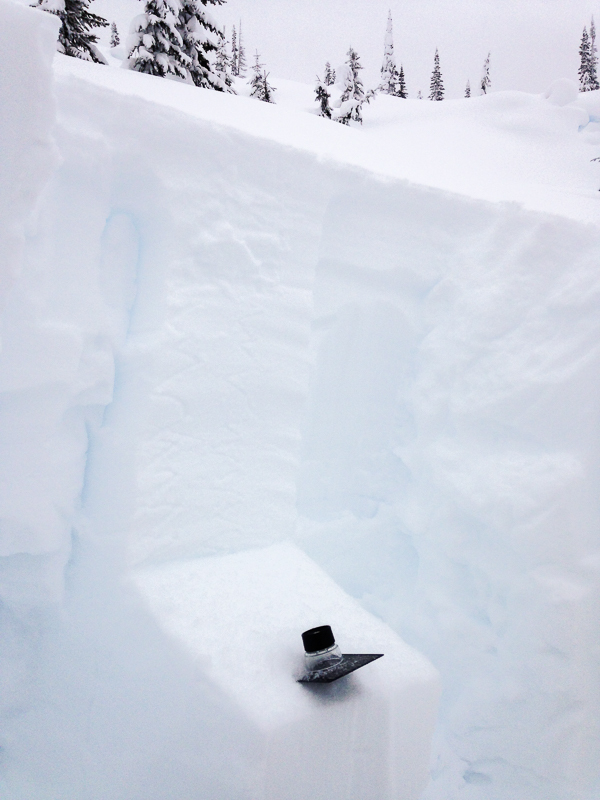 With the deep snowpack comes early avalanche conditions so make sure you are up to date on conditions at avalanche.ca. Namely there are 2 layers of buried surface hoar throughout most areas in Revelstoke in addition to a rain crust in isolated areas. I would not be approaching big terrain with a tonne of confidence just yet. There is lots of powder and the snow is great but remember that it is still November and there are still rocks looming close to the surface. 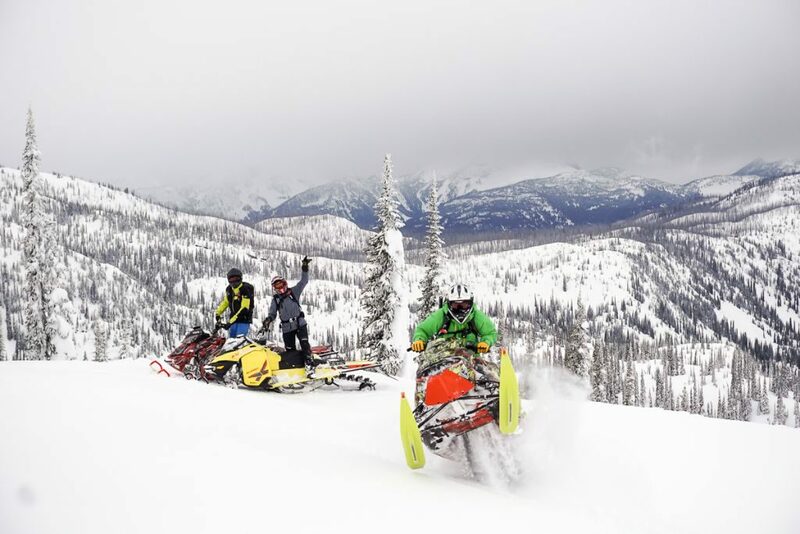 The Revelstoke Snowmobile Club has commenced grooming Boulder and Frisbee and they are rideable from the bottom parking lots. Southern parts and the monashees (west side of the lake) is definitely the best conditions right now. 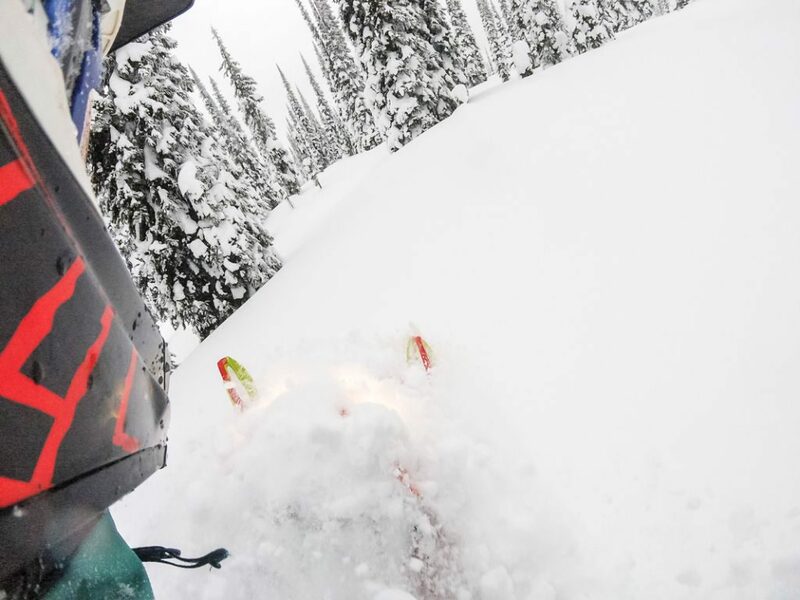 Get trained up – it’s going to be a big season and there is no room out there for the naive so go take an avalanche refresher and get out and ride!!! Hi Everyone and welcome to full on spring conditions here in Revy. This week has been pretty fun. Truthfully, it is still rock hard under about 10cm of soft, but the sun has been out in full force the last couple of days and it feels amazing up there on the peaks of these mountains. The forecast is looking more favorable this weekend then it has all winter. The models are showing 20-30cm of snow above 1500m by late Tuesday from a series of cold fronts that will travel across the province. It means that visibility will likely not be amazing, but if we see 30cm of snow, I will not be complaining about visibility. Better late than never, right? The trails are melting their way up the mountain very quickly and you are riding gravel for sections on all the trails around these parts. 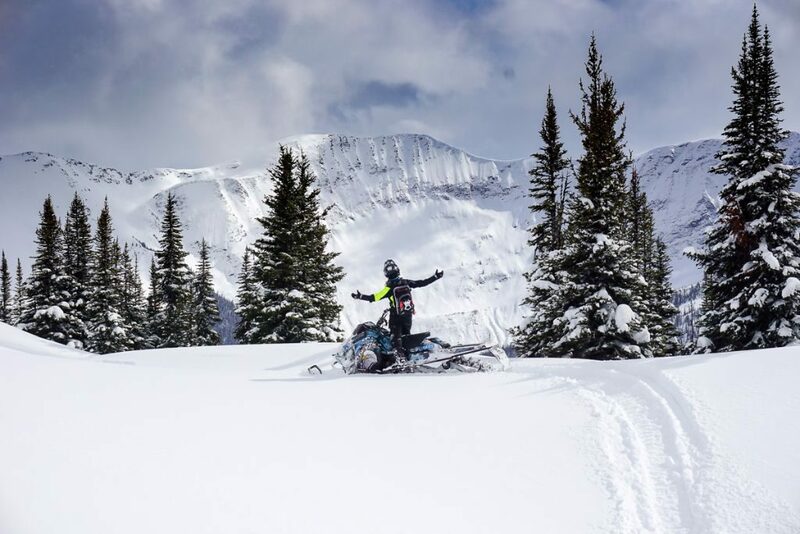 The Revelstoke Snowmobile Club has ceased their grooming operation for the winter so be prepared to get a work out on the way up, the whoops usually soften up for the afternoon so it is not so bad then. Avalanche conditions will likely raise to considerable or high in the alpine if we get this snow that is forecasted so keep on your toes and make sure you check avalanche.ca for the latest bulletin for your riding area. Might want to consider highway conditions if you will be travelling through the pass as well. There will be snow at that elevation. Just a heads up that these ride reports will continue for a couple more weeks until the end of April and then you are on your own. By which point, the conditions will be fairly consistently springy so you should have no problem deciding to ride or not!